Last May 2, Pope Benedict XVI went to Turin, Italy, to pray before the Holy Shroud, a centuries-old linen cloth that bears the image of a crucified man, a man that millions believe to be Jesus of Nazareth. (The Church says that it is not a matter of Faith, so people are free to believe or not that it is the real Shroud.) It looks as if, when Jesus resurrected, He took on a glorified body, shining with brilliant light, just like on the occasion of His Transfiguration, and this light left His imprint on the shroud. If it is really this linen that wrapped the body of Our Lord just before His Resurrection, this would be the most extraordinary artifact in history, a proof of the reality of the Resurrection of Our Lord. 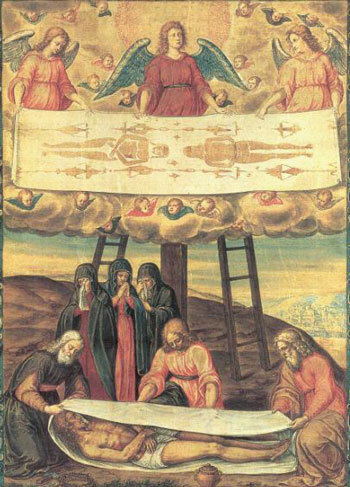 So one can understand why the Holy Shroud has been the subject of hundreds of thousands of studies and researches, with the most sophisticated methods — in fact, the Holy Shroud is the most studied artefact in history. And after all those studies, no one has yet been able to explain how this image of a crucified man has been done. In fact, only Faith can explain it. Even those who came to the conclusion that the fabrics date from the fourteenth century still could not explain the fabrication of this image. For those who do not have the Faith, this piece of linen is really mind-boggling; and remains a mystery. 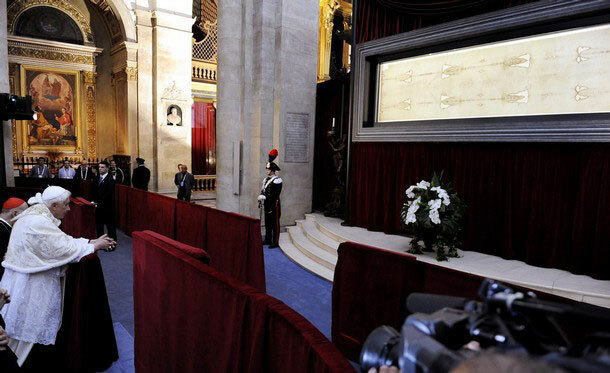 Pope Benedict XVI praying before the Shroud. "This face, these hands and these feet, this side, this whole body speaks, it is itself a word that we can hear in silence. How does the Shroud speak? It speaks with blood, and blood is life! The Shroud is an icon written in blood; the blood of a man who has been scourged, crowned with thorns, crucified and wounded in his right side. Every trace of blood speaks of love and of life. Especially that large mark near the side, made by blood and water that poured copiously from a great wound caused by a Roman spear, that blood and that water speak of life. It is like a spring that speaks in silence, and we can hear it, we can listen to it, in the silence of Holy Saturday. "Dear friends, let us praise the Lord always for his faithful and merciful love. Departing from this holy place, we carry in our eyes the image of the Shroud, we carry in our heart this word of love, and we praise God with a life full of faith, of love and of charity." of the Shroud of Turin. "For the believer, what counts above all is, that the Shroud is a mirror of the Gospel. In fact, if we reflect on the sacred Linen, we cannot escape the idea that the image it presents has such a profound relationship with what the Gospels tell of Jesus’ passion and death, that every sensitive person feels inwardly touched and moved at beholding it. Whoever approaches it is also aware that the Shroud does not hold people’s hearts to itself, but turns them to Him, at whose service the Father’s loving providence has put it. Therefore, it is right to foster an awareness of the precious value of this image, which everyone sees and no one at present can explain. For every thoughtful person it is a reason for deep reflection, which can even involve one’s life. 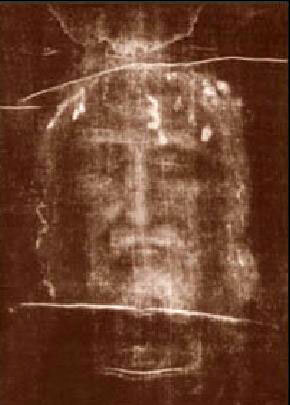 "The Shroud is also an image of God’s love as well as of human sin. It invites us to rediscover the ultimate reason for Jesus’ redeeming death. In the incomparable suffering that it documents, the love of the One who ‘so loved the world that he gave his only Son’ (Jn 3:16) is made almost tangible and reveals its astonishing dimensions. In its presence believers can only exclaim in all truth: ‘Lord, you could not love me more,’ and immediately realize that sin is responsible for that suffering: the sins of every human being. "This icon of Christ abandoned in the dramatic and solemn state of death, which for centuries has been the subject of significant representations, and for 100 years, thanks to photography, has been so frequently reproduced, urges us to go to the heart of the mystery of life and death, to discover the great and consoling message it has left us. 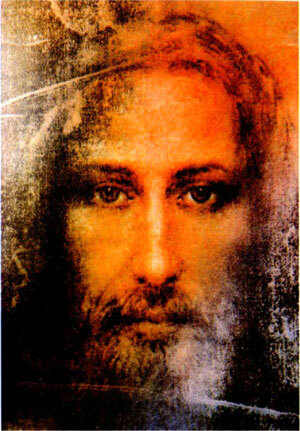 The Shroud shows us Jesus at the moment of his greatest helplessness, and reminds us that in the abasement of that death lies the salvation of the whole world. The Shroud thus becomes an invitation to face every experience, including that of suffering and extreme helplessness, with the attitude of those who believe that God’s merciful love overcomes every poverty, every limitation, every temptation to despair.